Create your personalized monthly calendar. 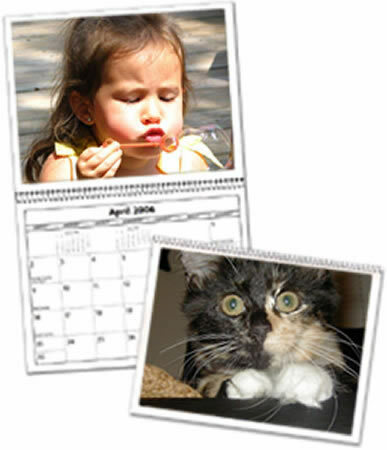 Choose up to 14 of your favorite pictures you'd like to use for your calendar including the cover and back. Your calendar opens to a full 11 x 14 (folded and stapled in center)and can hang just about anywhere: on a wall, refrigerator, or door. There's plenty of room to jot down appointments, notes and reminders of important dates, and the durable glossy stock will hold up to everyday use and the acid-free paper ensures your pictures will look great for years to come. NOTE: When uploading ALL Photos at one time, please allow several minutes for the upload to complete. Upload time varies based upon the size of photo(s) you are uploading. You can also upload each picture individually.